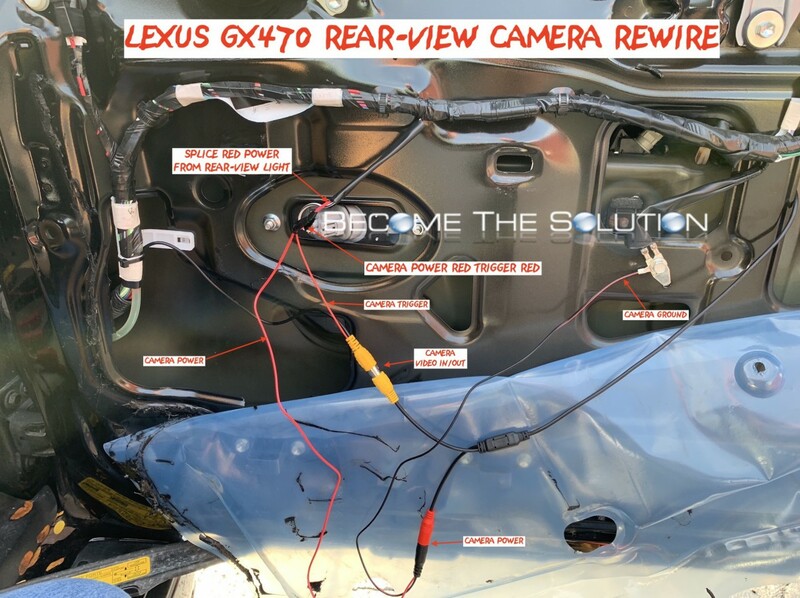 If you installed an aftermarket stereo in your Lexus GX470, you are likely required to install an aftermarket rearview camera due to difference in voltage wiring. 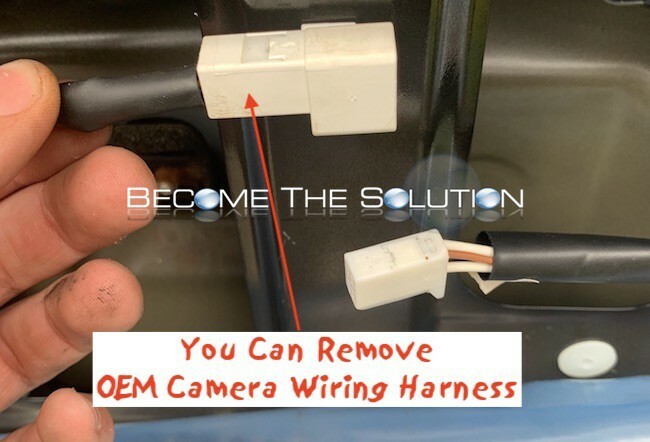 This guide shows how to install an aftermarket camera with correct rear wiring. First, you must disengage the rear door interior panel to access the GX470 reverse tail lights and wiring. There are many picture and video guides with directions showing how to do this. This should not take you longer than 30 minutes. Here is an example guide. Note the bolts screws holding the OEM camera above the license plate may be severely rusted and impossible to move. Spray WD-40 on these bolts gradually to help loosen them and then twist off using long needle-nose plyers. Once you have exposed this wiring and de-installed the OEM camera, you can continue on in this guide. 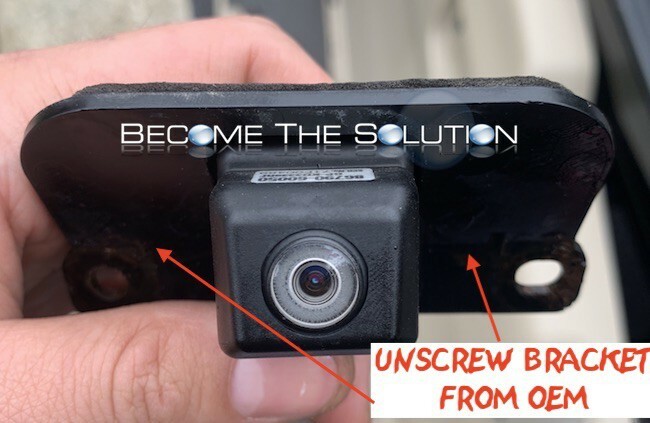 After disconnecting the Lexus GX470 OEM camera, we will re-use the OEM camera bracket to seat our aftermarket camera. It seems the GX470 aftermarket camera harness we received did not sit properly. Unscrew the OEM bracket from the OEM camera. You will need to disengage the wiring to the camera so you can feed it through. 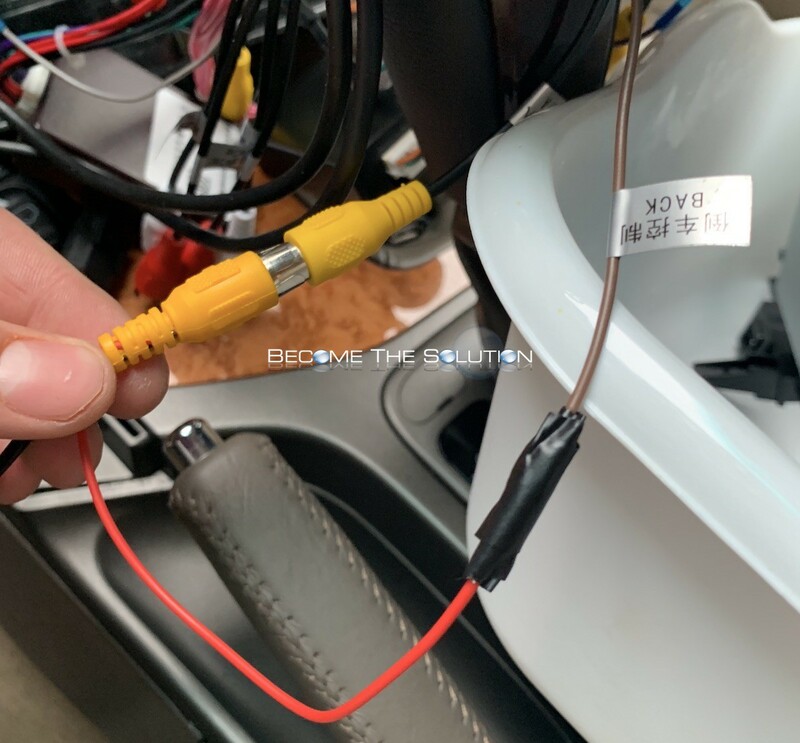 There is a small connector on the wiring you will need to press down on to disconnect – use a small head screwdriver. 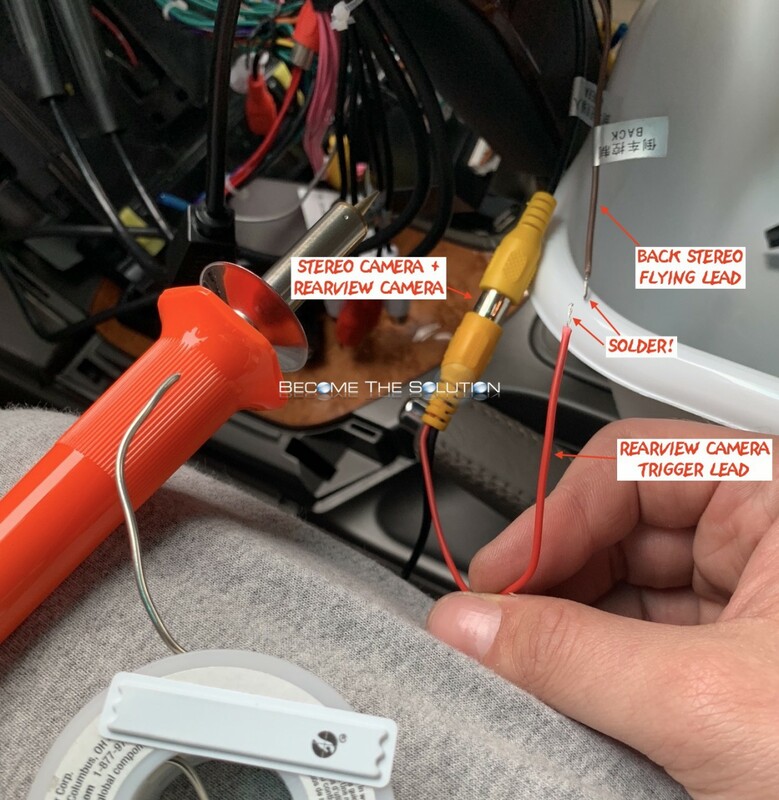 Connect the harness with aftermarket camera to the back but do not completely seat the actual camera in the back, as we want to make sure first it’s angled correctly when we get video feed later. Connect your camera RCA to the camera RCA on the Stereo. 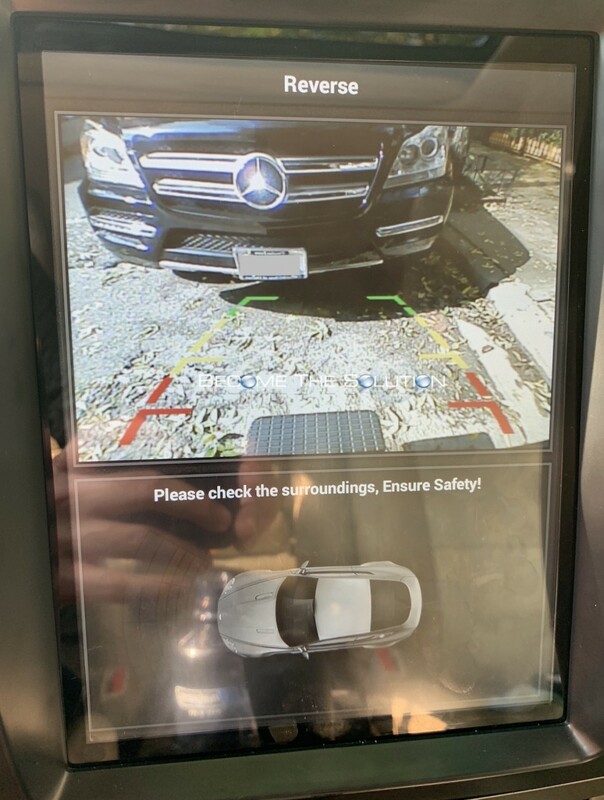 You will also have a flying lead wire to trigger the backup camera. Solder this to the stereo flying lead labeled BACK. Ensure your stereo is set to use AFTERMARKET camera in the system settings. This is all the work needed for the stereo portion. Head back to your GX470 rear door panel. Following the picture below, peel back the electrical tape on your rear-view light and splice the red (power) wire. Solder both aftermarket camera trigger and power (red wires) to your tail red wire and tape down. Ground your single red/black wire. Turn the Lexus GX470 ignition on and put into reverse. Ensure your have camera feed and the camera is angled in the correct direction. The wiring on the camera will also guide you for direction. IF YOU NEED HELP…and you are local to Chicago…we highly recommend contacting Sportline Accessories. They are absolutely professional and have over 35 years with custom installs on Lexus cars specifically. They also will install aftermarket radio installations. HIGHLY RECOMMENDED AND TUSTED! could you share which make model of aftermarket camera did you use?